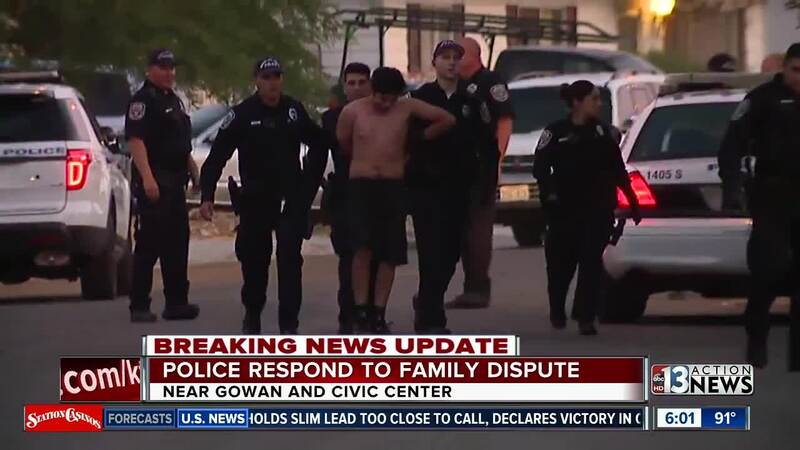 North Las Vegas police responded to a domestic situation early Wednesday morning. 3 brothers were fighting, one brother was arrested. This is a roundup of all the breaking news from around the Las Vegas valley for August 8, 2018. A fire broke out this morning in the rear bedroom of a one-story house on Apache Lane. One person was checked for smoke inhalation. A serious crash has been reported at Serene and Spencer Street. The crash appears to involve a car and a semi. The driver of the car was transported to hospital in critical condition. Spencer is closed in both directions. The road should reopen around 7:30 or 8 a.m.
2 women were arrested after they reportedly tried to steal a wallet from a man on Las Vegas Boulevard near Spring Mountain Road. Police say that the man was injured by a woman's shoe during the scuffle. The victim was not cooperative with police. The situation near Gowan and Civic Center Drive appears to be over. Police say they received a call about a domestic situation involving 3 brothers. When police arrived, they only found sleeping children in a home in the area. No proof of shots fired. Two people have been arrested. The scene is being cleared. Police are on the scene of an incident near Gowan and Civic Center Drive. A man in the area said he heard gunshots and his family was told to leave their home. Road closures may be in effect. 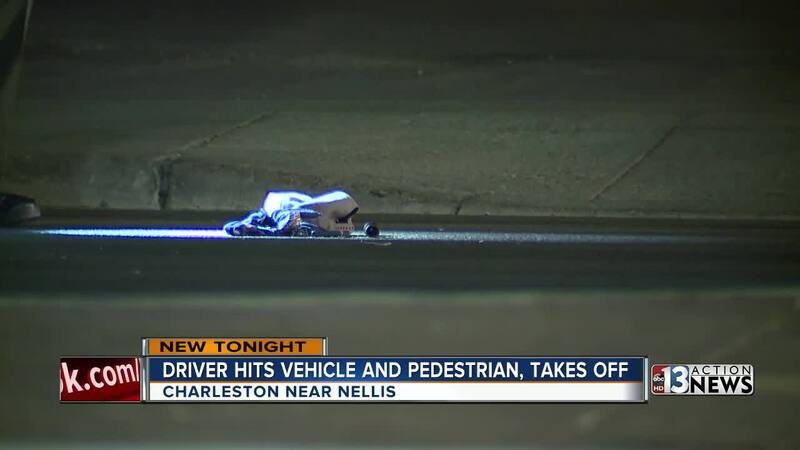 Las Vegas police are searching for a driver involved in a hit-and-run near Nellis and Charleston boulevards Tuesday night. Police said the SUV went into oncoming traffic, hit a vehicle and then hit a pedestrian who was walking in the crosswalk. The pedestrian suffered a broken arm and leg.